Coming off a late night, the Glee Club started the day a little behind schedule. But by car, subway, and light rail eventually everyone arrived at the Boys and Girls Club of St. Paul. We then participated in three consecutive workshops with choruses of elementary, middle, and high schoolers. In one workshop we learned the song This Little Planet and sang it as a round with the middle school choir before adding original dance moves and having a sing/dance off. 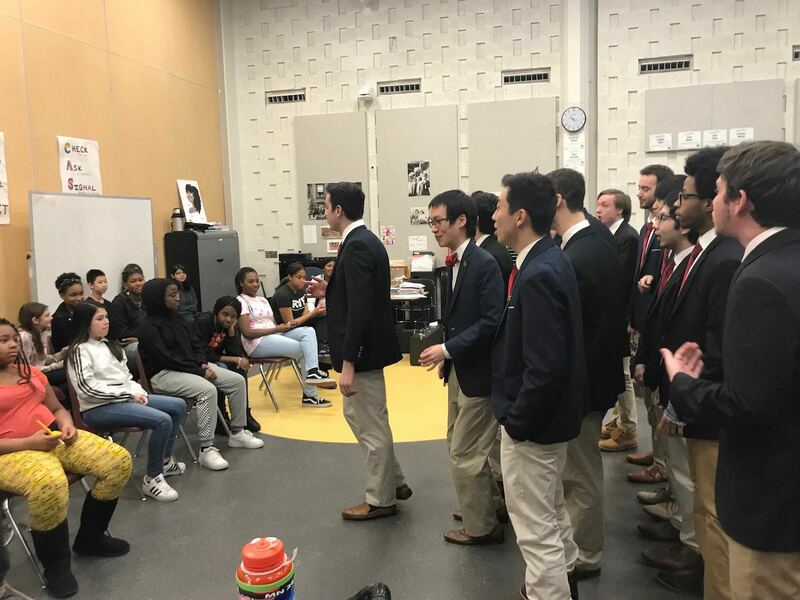 A different group performed an arrangement of Michael Jackson’s classic Man in the Mirror and before long the Glee Club enthusiastically joined them in song to create a truly touching moment. The conductor of the school’s singing program Siri told her students that the Glee Club showed that music can be an important part of your life even when you get and even if you do not intend to be a professional musician. 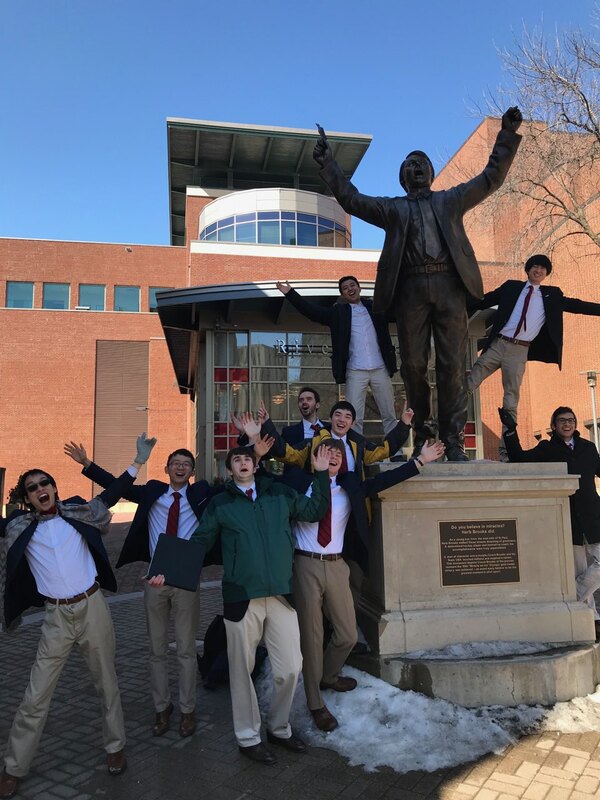 After having completed the three workshop classes, the Glee Club had some free time to explore the city of St. Paul. Gleeks flocked to the Science Museum, the Cathedral of St. Paul, the state capitol building, and the Schubert Club Museum. 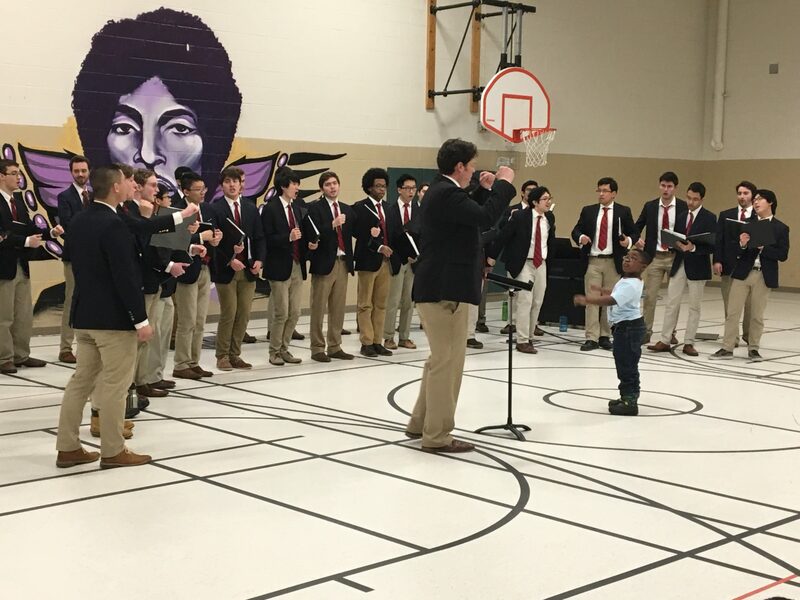 In the afternoon the Glee Club gave a short performance at the Boys and Girls Club of St. Paul to an audience of kids and teachers while standing behind a purple Prince mural. The performance became interactive when Gleeks and kids sang a round/mash-up of children’s songs. 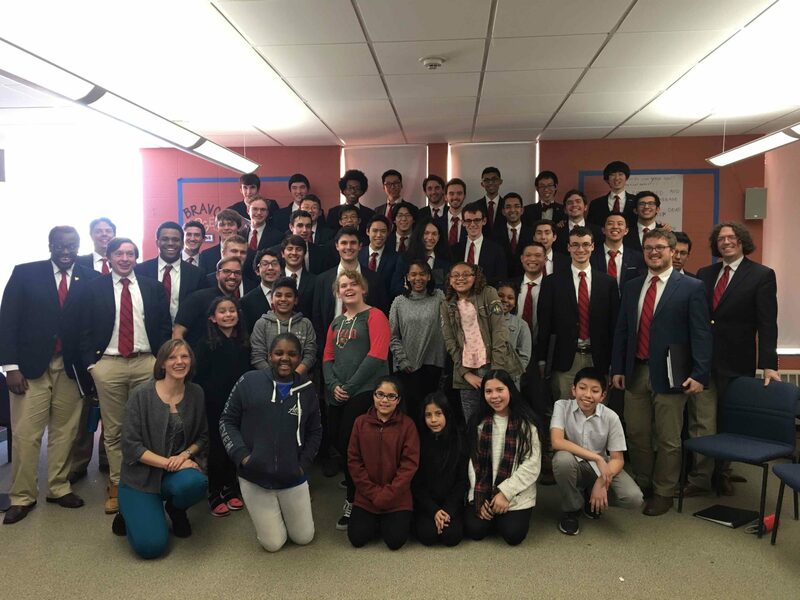 Afterwards, the Glee Club participated in a final workshop with Commusication, an after school music program for the St. Paul area in which students meet at least three times a week to rehearse singing and piano under the musical direction of Ryan Laboy. Commusication seeks to be accessible to all youth, create great music, and offer a welcoming community; it recently performed alongside Leslie Odom Jr. at Super Bowl LII. The students in commusication were incredibly well-focussed and simultaneously having a really fun time. With them we played a game that involved practicing proper singing posture and we also learned a song Draw the Circle Wide, which the students explained was about inclusion, accepting each other no matter our differences, and how we’re all stronger together. Today’s activities with various youth singing groups exemplified the power of music to bring people from very different backgrounds together to create something beautiful out of love.